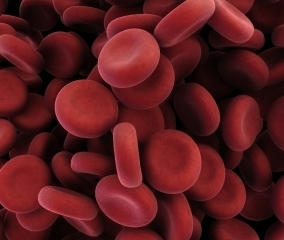 The combined market value for hemophilia A and B across the seven major countries of the US, France, Germany, Italy, Spain, the UK and Japan is set to rise from $6.7 billion in 2016 to almost $8.0 billion in 2026, representing a compound annual growth rate of 1.8%, according to GlobalData, a recognized leader in providing business information and analytics. The company’s latest report states that drivers of this modest growth include increasing rates of routine prophylaxis in pediatric and adult hemophilia A and B, and the introduction and uptake of new long-acting factors and alternative coagulation promoters (ACPs). Among ACPs, GlobalData anticipates the launch of Roche’s emicizumab in the inhibitor and non-inhibitor hemophilia A market segments, and of Alnylam/Genzyme’s fitusiran in the inhibitor and non-inhibitor hemophilia A and B market segments. The molecular structure and subcutaneous administration will allow ACPs to achieve bleeding protection with a less-frequent dosing schedule, thereby dramatically improving the convenience in the prophylactic setting. – Information based on GlobalData’s report: PharmaPoint: Hemophilia A and B – Global Drug Forecast and Market Analysis to 2026.